As a recognized name in the industry, we are providing a high quality range of Facial Care Products. Himalaya Gentle Exfoliating Daily Face Wash is a one-stop solution for your daily face wash care that combines deep cleansing, gentle exfoliation and moisturizing for your lovely skin. Enriched with effective Red Lentil which enhances the complexion. Himalaya’s Natural Glow Fairness Cream is an advanced skin lightening formula. Its unique formulation ensures five visible actions: lightening and evening of skin tone, reducing blemishes and dark spots, helping reduce under-eye dark circles, nourishing skin and moisturizing skin without making it greasy. What it does: Shine with Himalaya Herbals naturally glossy Peach Shine Lip Care. Our luxurious lip balm moisturizes your lips to keep them soft and supple. 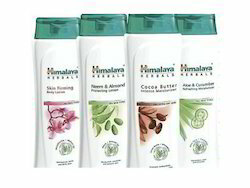 Packaging Size: 100 ml, 200ml and 400 ml. Himalaya's Clear Complexion Whitening Face Wash essentially removes dark spots, cleanses and clarifies impurities, revealing a clear, radiant and even complexion. Himalaya’s Under Eye Cream contains a proven and safe blend of herbs specially created to care for the delicate area around the eyes. The breakthrough herbal actives reduce the appearance of dark circles and protect the sensitive area under the eyes from sunlight.